Dive into bio-hacking and experimental sonification with Paloma Lopez and Leslie Garcia aka INTERSPECIFICS! Rhythm is found where there’s interaction between space, time and expenditure of energy. In this sense to understand rhythm in both the complexity of music and the very nature of sound is also to understand the frequencies that shape human experience in time space and pervade everyday life and space. With our tools built we will engage in a collective musical improvisation and try to put together the different sounds and rhythms deriving from the collected micro-organisms. The result will be presented as a live act at the conclusion of the week. HCK YR FD with Dario Cortese! To delve deep into nutritional science is to go out into the wild. Barely for two or three millennia, more precisely in a mere century, we are producing, growing and breeding too much of everything, and the trend hasn’t yet reached its peak. If we take a good look at all of the IT possibilities of development… they are so plentiful, they are practically devouring themselves. So, in order not to starve at the table full of goodies, it is wise to step out. Or, as Douglas Adams would have it: Please, step out! This is the invitation with which we shall greet you at the start of this year’s PIFadventure. Joining Please, step out! means you will be present on food-hacking trips around Soča village, where we will be gathering edible wild vegetables, wild herbs, wild fruits, and preparing them in simple, but for some probably extraordinary ways. These wild food hikes will also represent a gateway to the nutritional, historical, economical and other perspectives in connection with (wild)food, and by the time PIFcamp is over, you will have a pretty good picture of what is food and what is not. And you might as well know now: the majority of what we consider to be food is not. Please, step out! is held by Dario Cortese, an independent wild food researcher and author of several books on wild food and nutrition. When designing something an inevitable stage in its development is prototyping, making a physical version of the scribbles in your notebook. This can be both fun and frustrating! The workshop will be an opportunity to discuss and demonstrate practical prototyping techniques (deciphering schematics, using breadboard, prototype board and PCB design) and talk about strategies to evaluate a prototypes success. … from the mythical “bag of currently unfulfilled possibility” you pick a dusty old microchip. Your quest is to research what the chip can do then design and build a creative device (possibly an audio application, but not necessarily). You might get something with an obvious use like a 555 for an oscillator. However you might get something fiendishly boring that you really have to struggle to make funky. You can use whatever other components you need but the IC you pick has to perform the main operation of the device. If enough of these little silicon embryo’s struggle into life we could assimilate them all together into a freaky lunetta system. Hopefully we will learn something about prototyping and how different ICs work. I think the task would be all the more noble if the ICs come from the dankest corners of the worlds weirdest workshops, and so if you have time dig deep in your junk for those logic chips you have never used or op-amps or whatever you think might be fun. Oh and I have a prize for the most inventive device! 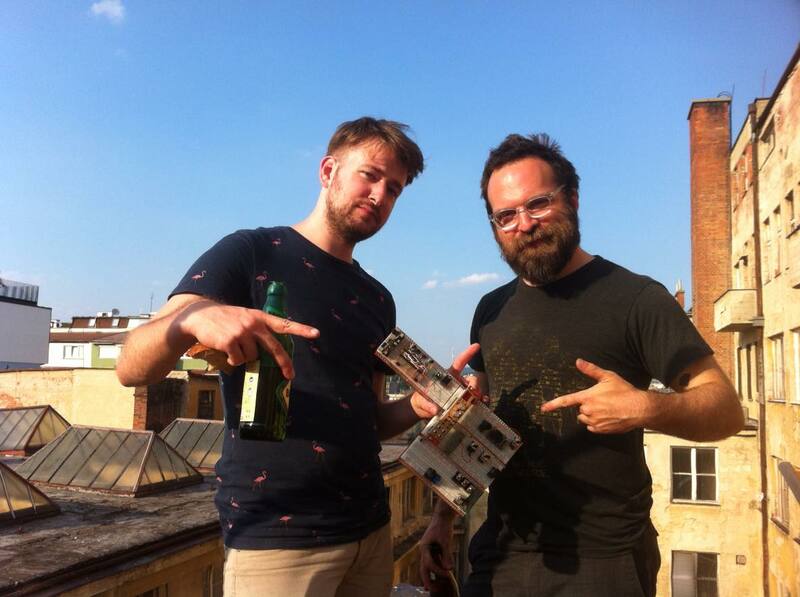 Peter Edwards (Casper Electronics) and Václav Pelousek (Bastl Instruments) join forces to bring modular synthesis out of the studio and into Trenta park for PIFcamp. This project will give participants access to a simple but powerful set of building blocks which can be used to create interactive systems that control sound, light, motors and more. Participants will learn about the basics of analog and digital engineering while creating unique interfaces and experiences to share with others and integrate into the PIFcommunity. The focus of our joined workshops is to provide simple but solid (and cheap!) 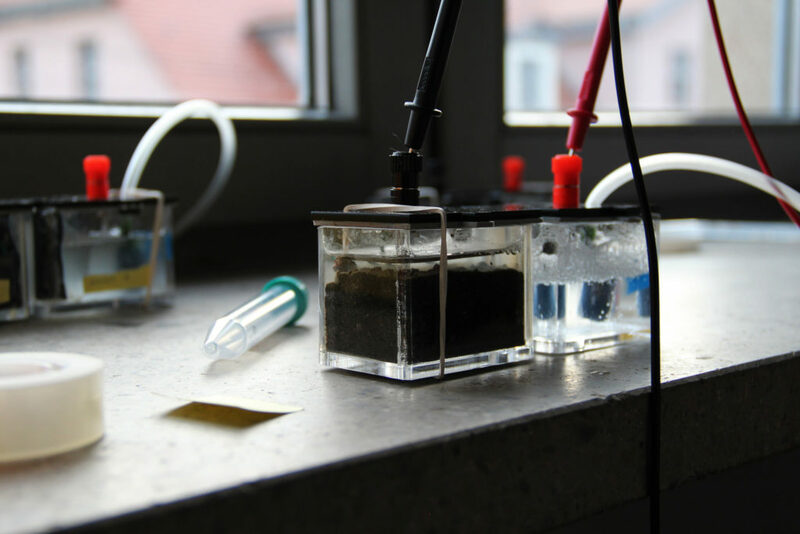 building blocks to interface electronics with the outside world. On one side we have input conditioning for various types of sensors and on the other we have motors and physical actuators to modify the physical world. All interfacing can be done in the methodology of modular synthesis since all building blocks use control voltage as a common language. 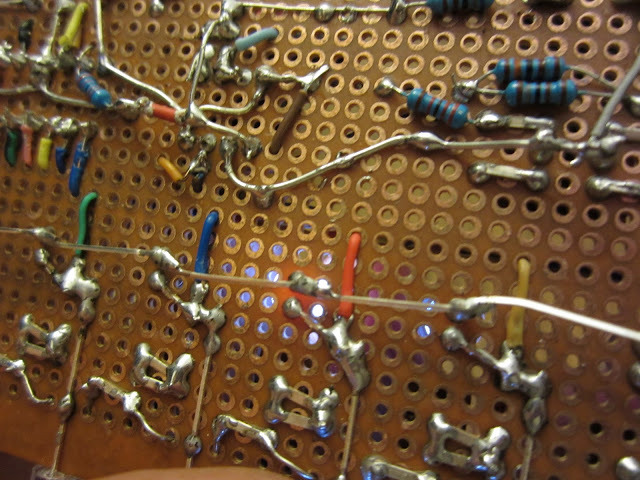 The format we will be using to interact with the building blocks is the electronics breadboard. It will be used for configuring internal connections but also to provide a mechanical base for creating solid objects. We will both work with participants to help them build functional systems throughout the week while also a holding a few group exercises and open lectures on basic electrical theory and coding practice. Václav on his own would like to focus on creating mechanical sequencers to run musical circuits (river / wind sequencer etc.). Peter will be focusing on musical applications of this system but is also eager to explore how light and electromechanical objects can be utilized to create audio/visual installations. Since our building block will be breadboard based it will be very easy to combine this project with any other electronics project at the PIFcamp. We are eager to see how this project can be integrated into and activated by the greater PIFcommunity. PIFcamp Open Call is extended! We’ve gotten tons of amazing applications, spaces are almost full, but we know there are still some great projects out there, so we are are extending the deadline until June 10. How to apply? Open call 2016 is out! We are happy to announce that open call for PIFcamp 2016 participation is finally out! For more information on how to apply and this year’s confirmed nodes click here. Hactivate yourself today and apply now! We are happy to announce the dates for the second PIFcamp edition – we will return to the beautiful Soča Village between 25 and 31 of July for some proper geeky holidays! More info coming soon, until then feel free to enjoy the video from last year and plan your summer nerdish getaway accordingly! Marc Dusseiller: Hands-on presentation of chlorophyll extraction. Mobile lab is working, so we will also do some stuff in the wild. 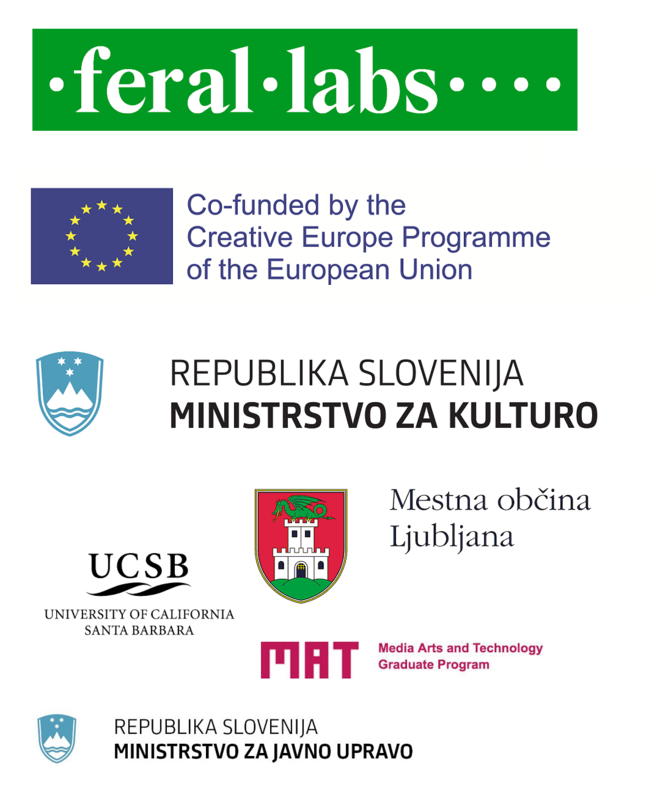 Peter Edwards and the Soča Synthesis group will set up interactive sound installations for a couple of hours. In the evening the synths move to the pendulum. Come and talk about e-textiles and wearable electronics with Lynne Bruning and test the projects we built. Luka Frelih will set up the stomp board and two sculptures made out of the material picked up near Soča. We can plug in more things during Saturday. Test Werner’s super DIY blue-tooth speaker (oh, it is so much more)! Check out PIFphotos from hacked cameras Michael Page built. They will also be set around the house, triggering randomly. Check out the PIFweb tree by Tomaž Strgar. On Sunday morning Jure Peternel will educate on one of the most sustainable methods of domestic organic waste use by making them the main ingredient in the building of a raised garden bed. After 10am! What is the sound of nettles cooking (or growing)? Edible wild plants expert Dario Cortese presents his “food hacking” node! Dario (right) is playing some Breton tunes to Good King Henry (not seen, as the plants with this name grow below the dancer). As edible wild plants are three to four times stronger food (especially mineralwise) than cultivated ones, it will be an interesting point to get them “voice” their power via any possible channel. 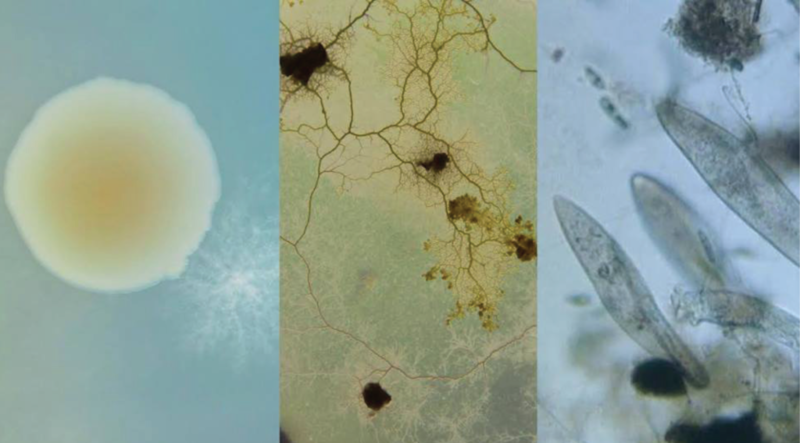 This is but only one of the possibilities to include wild edibles into hacking activities in Trenta valley, not to mention that collecting and using these foods is hacking business by itself, as it goes straight to the core of food: what did we eat 10.000 years ago? Why shouldn’t we have a direct access to food, otherwise dominated by hipersupemegamarkets, and, yes, also your own garden (most of the weeds are edible and more nutritious than cultivated vegetables). And also, how do the nettle’s stings look like from a very close distance? Interestingly enough, they also contain serotonine and acetilholine, two powerful neurotransmitters. 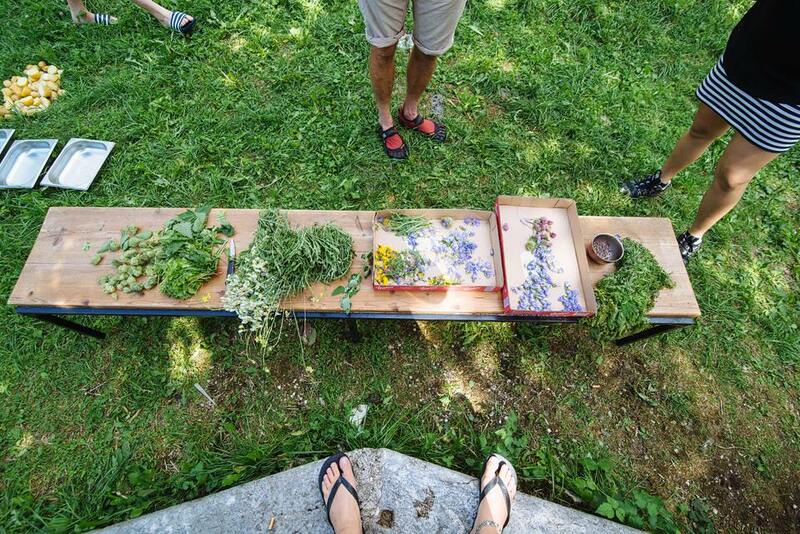 Hunger aside, there will also be some very straight presentations of wild edibles in the surroundings of Soča village, that means how to recognize and use them. By the way, more than 2000 species (out of 3500+) of wild plants in Slovenia can be used as food. What about PIFcamp Reactive Network? Computer art node holder and ultimate open source & free software geek Luka Frelih presents the 7th project of the summer camp, named PIFcamp Reactive Network. PIFcamp Reactive Network will take on signals from the real world environment of the PIFcamp and its participants, react to them trough live-coded scripts and feed them back to the camp trough screens and kinetic sculptures. The physical input and output devices speaking the OSC protocol will connect trough Noise Make-up Language (NML), a web livecoding bridge, and form a living, pulsating and growing network inhabiting the camp site, its computers and browsers, not to mention the minds and bodies of campers. 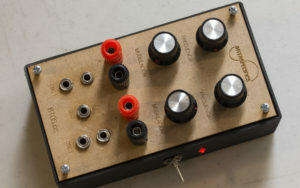 We will invent and make input and output modules based on ideas from kinetic sculpture, DIY and kids robotics, modular synthesizers and the beautiful natural surroundings to combine humble potentiometers, servo motors and microcontrollers, glue and sticks into abstract expression carriers capable of transforming gestures into numbers and back again. We will also bring along and repurpose the huge 19-pad stomp board from Sounds of Ljubljana which will surely add to the fun of finding the pattern that will emerge from connecting these experiments with the noise emanating from other projects at PIFcamp.